Karollyne, who works at the dog-rescue nonprofit founded by Glenn Greenwald and David Miranda in Brazil, is shown with one of the homeless dogs she cares for in an abandoned building. Nothing humanizes homeless people more for us than seeing them interact with a pet. The panhandler who used to set up a blanket with his dog near Providence’s Kennedy Plaza always seemed cheerful whether he got money or not, and many passersby stopped to pat the dog and exchange a few friendly words. I haven’t seem him lately and can’t help wondering if his dog helped him to get it together and move off the street. Consider a couple articles I’ve been reading on homelessness and the power of a pet. In the first article, reporter Candace Pires gathered the stories of four homeless people for the Guardian. Heather, 22, told Pires, “Before we found Poppy, I didn’t feel like I had anything to wake up for. I was going through a rough time in my life and didn’t care about myself. I’d been homeless since my parents told me to leave our family house in June 2016 and was so miserable in my situation. Everywhere I go people shun me and tell me to leave. Pires wrote up three more stories by homeless pet owners in America here. Meanwhile, the journalist Glenn Greenwald has written at the Dodo about the dog-rescue nonprofit he and David Miranda founded in Brazil, where homeless people who love dogs are hired as caregivers. “In the last two years,” Greenwald reported, “our work with animals has taken on a new focus: working with homeless people who live on the streets with their pets. At first glance, this situation can seem grim and depressing: Many assume that animals who live on the street with homeless companions are mistreated or deprived. “But, far more often, the truth is the opposite: The bond that forms between homeless people and their homeless pets is often [more] strong, deep and more profound than many can imagine. The mutual need, and resulting intense devotion, that homeless people and their animals develop for one another is inspiring and can be unlike what one might find in any other context. Did you ever see a person you thought you couldn’t relate to until you saw the person’s relationship with a pet? I’d love to hear stories. 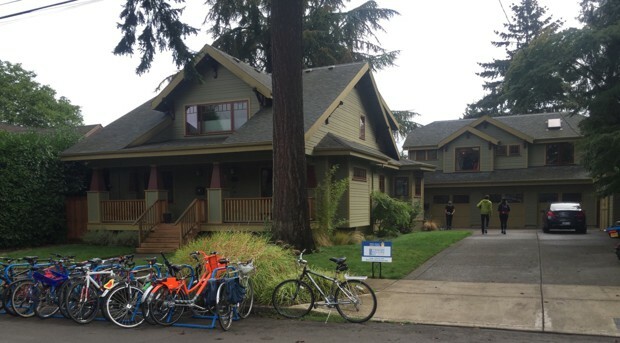 Los Angeles will pay homeowners who are willing to house pre-screened homeless families by creating “granny flats,” like this accessory dwelling unit over a garage in Portland, Oregon. I like stories on creative ways cities are trying to tackle homelessness. These initiatives may seem like a drop in the bucket, but some may actually work well over time and help alleviate the effects of our extreme inequality. You have to start somewhere. After all, the homeless population includes working families unable to make ends meet on their wages. As Vanessa Romo wrote at National Public Radio last month, “In an attempt to alleviate the soaring homelessness problem in Los Angeles County, officials want to pay homeowners to house people by building new living units or bringing existing dwellings up to code if they are in violation. “It’s part of a $550,000 pilot program launched by the LA Community Development Commission to explore new ways to safely and at a relatively low cost, provide housing options for handful of the county’s nearly 60,000 homeless residents. “The county Board of Supervisors has narrowed down the pool of applicants from 500 to 27 and is in the final stages of selecting a group of six property owners who are ready and willing to start construction in the fall, according to the LA Times. The county is also leading a design competition for model secondary dwelling units. ” ‘People are looking at what they can do to make our neighborhoods more affordable and help more Angelenos find stable places to live,’ LA Mayor Eric Garcetti told the Times. “Los Angeles is only the latest county trying to take on the nation’s homelessness crisis by inducing property owners to provide affordable housing. Residents at a Housing First facility near Helsinki, Finland. Emmi Vuorela, right, is the resident coordinator. “Housing First” is a model that parts of the United States have adopted on a limited scale. It provides housing to homeless people without making behavior changes a prerequisite. 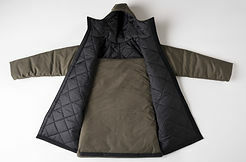 The theory is that a person is more likely to get off an alcohol dependency, say, if he has the stability of shelter. Now Finland has not only seen the wisdom of the concept, it has decided to go much bigger and provide every homeless person with housing. It’s amazing what can be accomplished when a society as a whole makes up its mind to do something sensible. Sensible because the program not only helps individuals but pays for itself. Gordon F. Sander writes at the Christian Science Monitor, “As anyone who has visited Europe recently can attest, the scourge of homelessness has reached epidemic proportions. “The only exception to the trend is Finland, according to FEANTSA, the European Federation of National Organizations Working with the Homeless. There, homelessness is, remarkably, on the decline. “Per the latest statistics, the number of homeless people in Finland has declined from a high of 18,000 30 years ago, to approximately 7,000: the latter figure includes some 5,000 persons who are temporarily lodging with friends or relatives. In short, the problem has basically been solved. ..
“Finland opted to give housing to the homeless from the start, nationwide, so as to allow them a stable environment to stabilize their lives. The elimination of homelessness first appeared in the Helsinki government’s program in 1987. Since then virtually every government has devoted significant resources toward this end. “The concept behind the new approach was not original; it was already in selective use in the US as part of the Pathways Model pioneered by Dr. Sam Tsemberis in the 1990s to help former psychiatric patients. What was different, and historic, about the Finnish Housing First model was a willingness to enact the model on a nationwide basis. 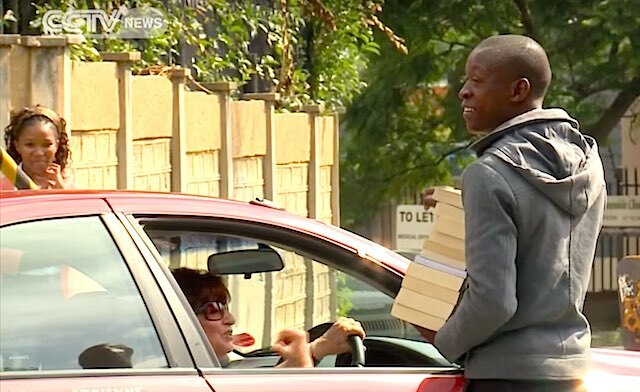 Philani Dladla, once homeless, now serves others with the money he gets selling used books he reviews. Terry Turner reported recently on a South African man who went through a period of homelessness and, while relying on the kindness of strangers, gave a lot of thought to how he might give back. He started providing book reviews for used books he sold and using the proceeds to help others. “Philani Dladla credits his love of books, specifically motivational ones, with breaking his drug habit. Now that he’s clean, he has dedicated his life to being of service to others. “Today, he can be found selling used books to passing motorists — but only after he’s read them first. That way, he can give passersby a book review and set the price accordingly; from a dollar for books he doesn’t like, to six dollars for real page-turners. “While still homeless himself, Dladla began using the money to buy other homeless people soup and bread every day. “No longer homeless, he still feeds those on the streets, and even started a ‘Pavement Bookworm’ Book Readers’ Club in a local park where kids can hang out and read until their parents come home from work. Read more at Good News Network, here. I’m pretty clueless about how to interact with someone who is homeless, although I’ve learned to smile since Suzanne told me that smiling was Mother Teresa’s advice. And I’m getting to know the woman who spends the winter in one of the two ladies room cubicles at the Porter Square T station. She tends to rant, but her rants sometimes make sense. I think it’s a kindness that the T lets her stay on cold nights. She doesn’t seem to be doing any harm. Of course, it’s an outrage that anyone is without a home in this country. Auckland Libraries in New Zealand figured out why their books were going missing and came up with a win-win solution. If you know how to read, you want to read, and librarians want you to read. But not everyone has easy access to books. That is why some readers in New Zealand were sneaking books. 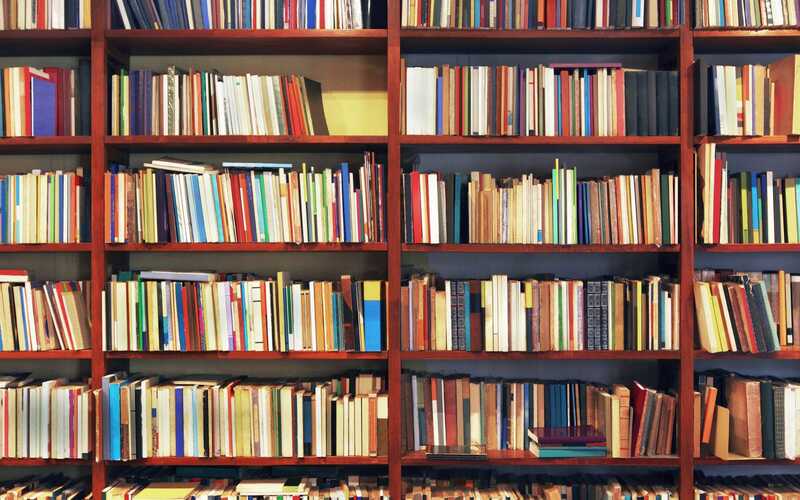 Mark Molloy writes at the UK’s Telegraph, “A New Zealand library has finally solved the mystery of why some books were going missing from its shelves. “Auckland Libraries staff were bewildered after finding some books were being hidden in random places. They initially thought kids playing pranks were to blame, but later discovered it was the city’s rough sleepers who were actually stashing the books so they could return the next day to continue reading. “ ‘A lot of our street community were wanting to put them underneath the couches or underneath book shelves and kind of hiding them in various places,’ librarian Sean Taylor told TV NZ. … Without a permanent address they were unable to sign up for a library card that would allow them to take the literature away. “ ‘One guy told me he moved to the city several years ago, and that none of his family back home knew he was homeless,” [said Rachel Rivera, manager of Auckland Libraries]. He used our computers to keep in touch with them. It was his lifeline to his family,’ she said. More at the Telegraph, here. And look: Everything at the Auckland libraries website is in both English and Maori.